With a slim profile and sleek contemporary design, eBench workstations pack style, function, and technology integration into a simple, uncluttered package. Its highly tooled steel structure assures a long-lasting, sturdy foundation. Shared, inset legs create ample knee space with plenty of room for storage components. 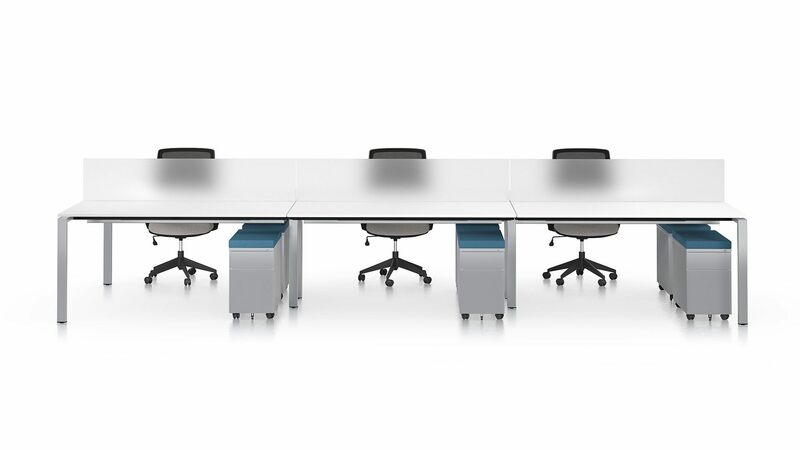 Pricing includes standard laminate 3mm tops on an eBench 6-pack base in standard finishes with power. Storage, voice, and data options are available, but not included. $8,473 Manufacturer: Enwork Lead Time: 4	- 5	weeks Size: 30" x 60"